Leo (Lew) Borchard was born in Moscow. His mother Eugenia settled in Finland with her son and daughter in 1917. Leo Borchard studied music in Helsinki and Berlin. He worked as a conductor and kapellmeister in Berlin and Königsberg. He and his partner, the journalist Ruth Andreas-Friedrich, lived in the same house at Hünensteig 6 in Berlin-Steglitz from the 1930s on. They were both concerned about the persecution of the opposition and the Jews. After the 1938 November pogroms, they regularly invited like-minded friends to their home to talk about how to help the persecuted. In 1942, the couple and their friends began supporting people who had gone into hiding in Berlin, mainly Jews. They took some into their home temporarily and obtained accommodation, food, and forged papers for others. From September 1943, Borchard gave music lessons to the young Konrad Latte, a Jewish musician from Breslau, and provided him with food and places to stay. When Borchard was employed by foreign ensembles, he sought support for the resistance abroad, including in Sweden. With the aid of the doctor Walter Seitz, Borchard feigned a liver problem at the beginning of 1945 to evade being drafted into the Volkssturm national militia. Along with other members of the “Uncle Emil” group, he painted the word “No” on many walls around Berlin in a risky protest action against the Hitler regime in April 1945. 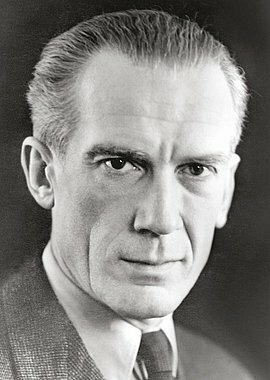 Leo Borchard became director of the Berliner Philharmoniker shortly after the end of the war. He was accidentally shot dead in a military check while driving through the city in August 1945.